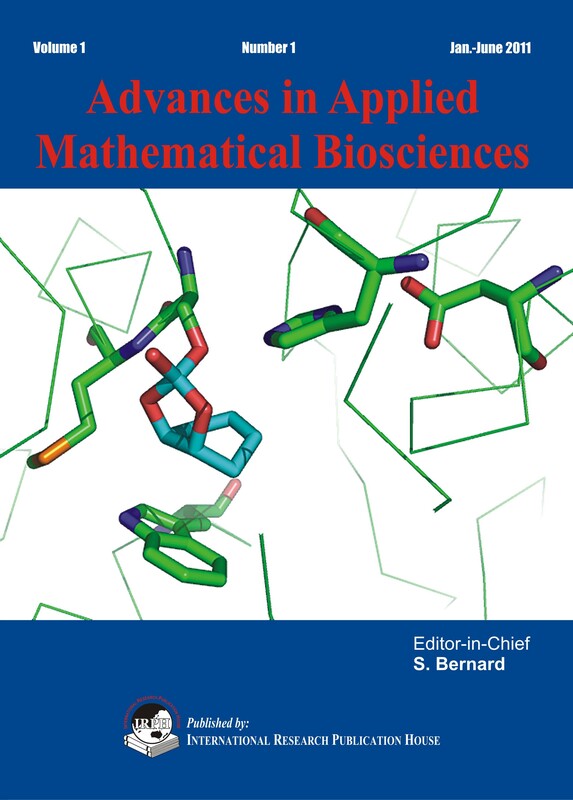 Advances in Applied Mathematical Biosciences (AAMB) is an international journal of high quality devoted to the publication of original research papers from all areas focusing on new developments in the fields of mathematical biosciences and its applications in sciences. Areas and subareas of interest include (but are not limited to) general mathematical methods and their applications in biology, medical and biomedical sciences and engineering with an emphasis on work related to mathematical modeling, nonlinear, and stochastic dynamics. Journal publishes research articles and reviews within the whole field of Mathematical Sciences, and it will continue to provide information on the latest trends and developments in mathematics, life sciences and engineering.